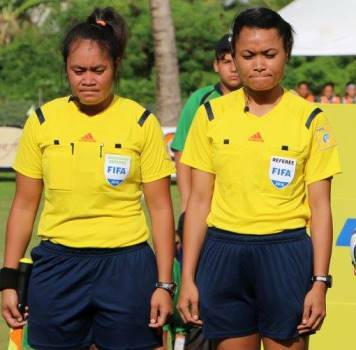 Ms.Lelenga became the first FIFA woman international referee from Tonga, while her eldest sister Mrs Kaumatule remain as a FIFA woman international assistant referee since 2009.
but because you were always there for me,’’ she cried. 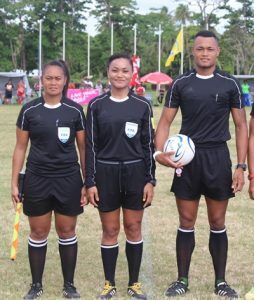 proper enhancement of the skills level and aptitudes of the Tonga International Referees to world class match officials.”Vea said. 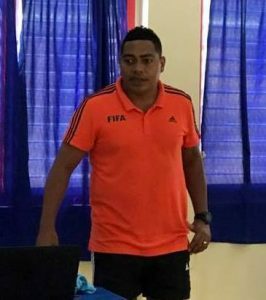 she has been also appointed to few FIFA Women’s World Cup and to most of our OFC women’s qualifying tournaments, Vea added. 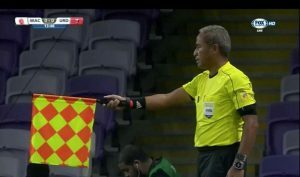 Match Officials meet the requirements and must be aware of their part playing in the game. Previous Post Just Play Tonga launch End violence campaign!